We present an exclusive range of Pet Edible Oil Bottles that has gained high popularity among the clients in the national and international markets. We use high grade Pre Form and advanced machinery for fabricating the product. 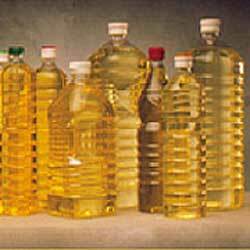 The Pet Edible Oil Bottles are available in various sizes, colors and are extensively used in Oil industries like soyabean, mustard, Retail and Packaging industries.